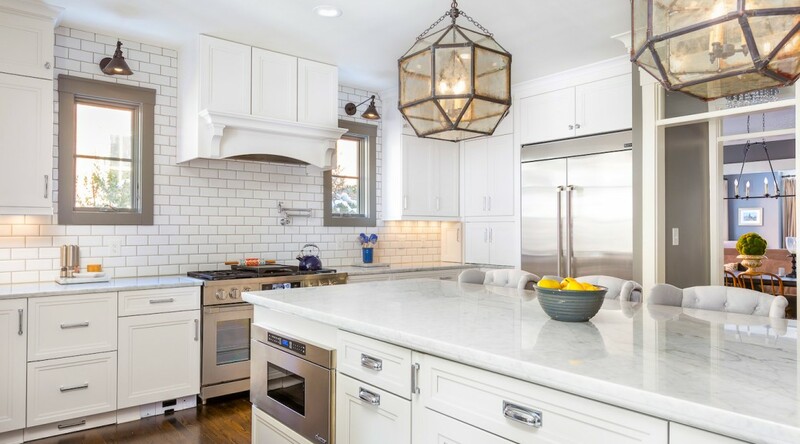 We recently completed an install for the Triangle Parade of Homes that featured Neolith sintered stone. 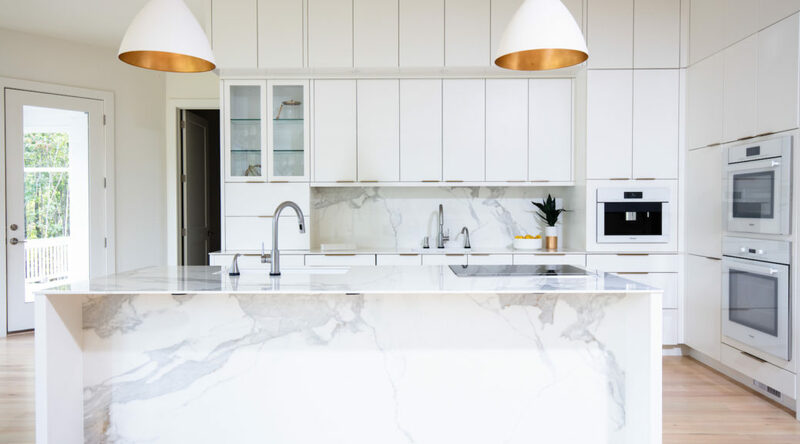 This photo by Chris Frick shows you the beauty of polished “Statuario.” ROCKin’teriors is the Triangle’s first certified fabricator of highly durable sintered stone. The Parade of Homes is hosted by the Home Builders Association of Raleigh and Wake County. Semi-precious stone is a wonder of creative opportunity. 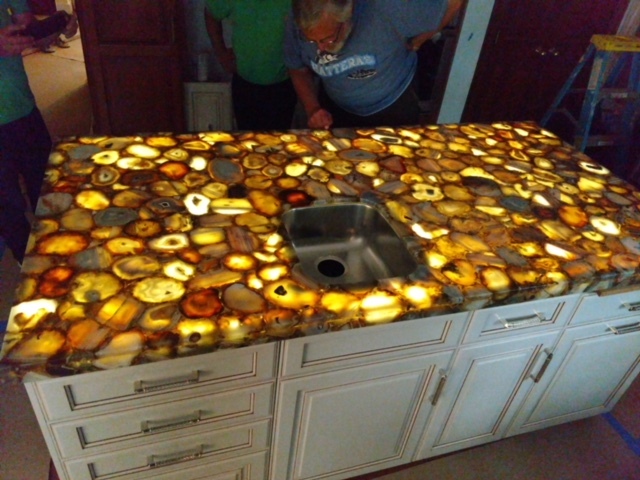 As you can see in our recent installation, it makes for the perfect countertop material to backlight and give your space a beautiful glow. Ask us how we do it! Our friends at Distinctive Remodeling have created an amazing virtual tour that features a unique outdoor kitchen we fabricated and installed, complete with Dekton countertops. There’s so much to like about this space, it’s ready for entertaining. See the project. We had a lot of fun with a recent post on social media that drew a lot of attention. 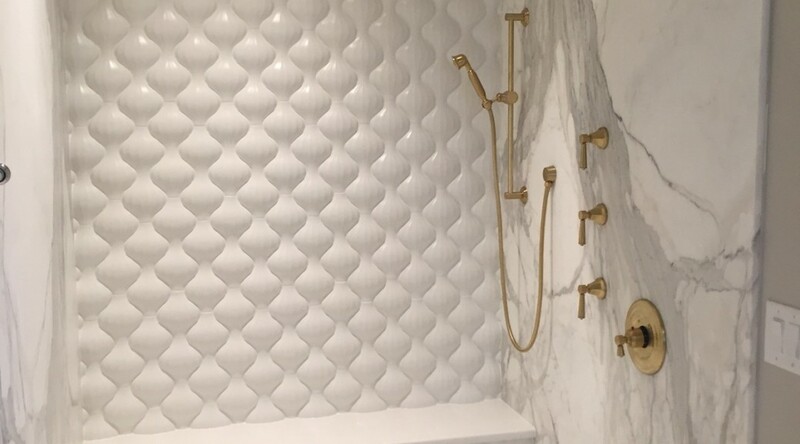 Read on to check out this beautiful shower that features Calacatta Gold Marble (2cm) surrounded by flamboyantly fabulous Kaza Concrete Lantern tile by Walker Zanger.